Beginning March 20th, Biltmore will celebrate the legacy of Frederick Law Olmsted by celebrating his final project – George Vanderbilt’s magnificent Biltmore gardens. The event, lasting through May 25, 2018 known as the annual festival of flowers, will featuring 50,000 tulips, 14,000 daffodils and 1,000 hyacinths. 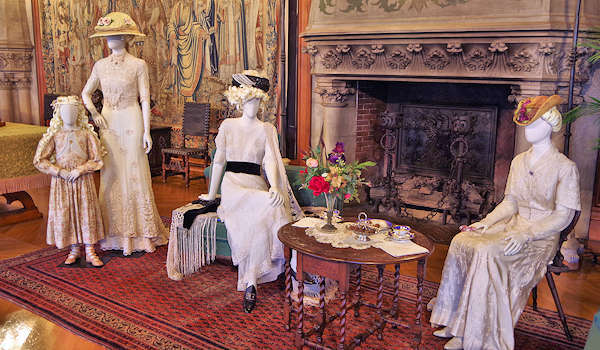 From February 9 until May 13, 2018, Enjoy the exhibition of fashions from the Oscar-winning film, “Titanic” will feature on exhibition, “Glamour on Board: Fashion from Titanic the Movie”, displaying 53 costumes inside Biltmore House and other locations on the estate. For More information, click here. Costume displays are seen on the regular self-guided tour, with no additional fee.